Choosing where to display a piece of jewelry says bounds about its wearer. We adorn eye-catching necklaces and pendants to draw attention to our necklines and hint at class, and we stack sturdy, lustrous cuff bracelets on our wrists to cement strength, and hopefully turn a few heads. 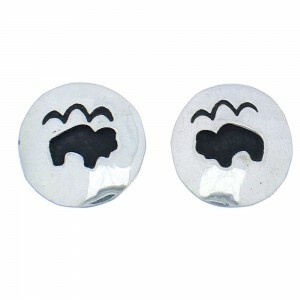 Earrings, on the other hand, tend to relay a much more muted message. Often concealed by hairstyle or simply too small to spot from afar, a pair of dainty earrings hardly screams for attention. But from a closer perspective, those seemingly insignificant jewelry items we dangle from our ears express a softer, more subtle sense of elegance and regality – a beauty that requires a far more intimate look to grasp its full awe. And right now, SilverTribe proudly invites you to explore our wide array of priceless sterling silver earrings to cement your classic – and subtly stunning – beauty. Our selection of sterling silver earrings is rooted in the belief that the most captivating, the most inspiring, kind of beauty is the most subtle. Although our sterling silver earrings contain the same kinds of bold hues and attention to detail as our vast array of similarly crafted bracelets, pendants, buckles and rings, the beauty is contained within a much smaller scale. 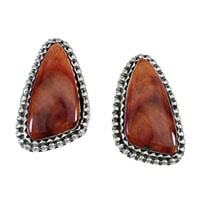 While the size of our sterling silver earrings certainly provides a much more subtle draw, it’s the metal’s uniquely earthy luster that tends to complement the wearer most. 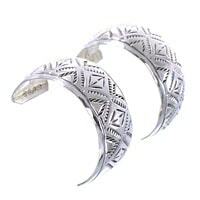 Sterling silver is composed of both soft, malleable silver, as well as a collection of various other alloys to increase the metal’s strength. Beloved worldwide for its tremendous durability, high-quality luster and lack of fade, sterling silver remains a staple for any jewelry collection. At SilverTribe, we strive to enhance not only the durability and shine of the metal we craft in our sterling silver earrings, but the gems that contrast them as well. 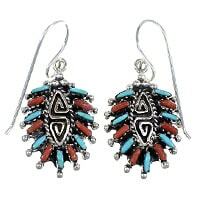 A wide variety of sterling silver earrings that we offer at SilverTribe contain some of the most precious jewels of the southwest, including piercing turquoises, bold opals, earthy ambers, and delicate coral. And it’s this blend of these incredibly simple, yet subtly captivating blend of natural colors that has sent shockwaves through the fashion world. Fashionista starlets like Blake Lively, Hayden Panettiere and Beyonce have all been spotted sporting vibrant earthy colors on the red carpet. Much of these bold, natural hues are, not surprisingly, being contrasted or paired with solid and stunningly simple sterling silver earrings. It’s the ideal complement for any perfectly-organized outfit. Our sterling silver earrings’ more muted nature, paired with a pallet of earthy tones, helps to provide a subtle vehicle for more statement-making clothing or accessory pieces in an ensemble. 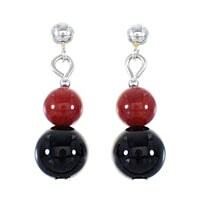 However, while it’s the hue of sterling silver earrings that will lure an observer in, it’s the shape and structure that is certain to intrigue. 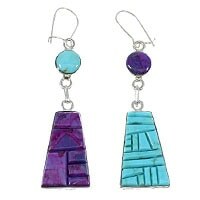 All of the earrings at SilverTribe offer a unique, geometrical design and shape. From dangling chandelier earrings, to solid studs, to whimsical butterfly shapes, finding a unique kind of shape is virtually limitless. 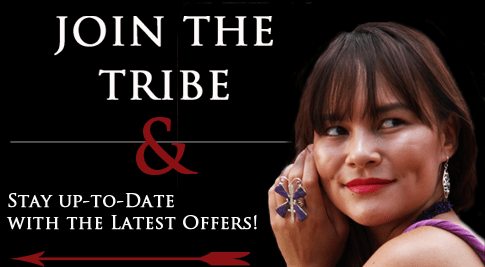 And what’s more, SilverTribe shoppers are eligible for exclusive rewards, offers and one-time-only promotional offers – no matter what their preference in jewelry shape, color or context. 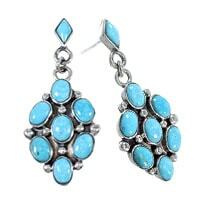 To become a member of our mailing list, and receive incredible deals on our inventory of sterling silver earrings, click here. 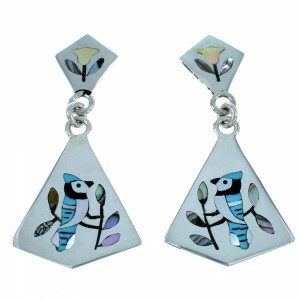 There’s no questioning the aesthetic allure associated with adorning a pair of sterling silver earrings. Yes, they’re incredibly tiny. And yes, they’re hardly a statement-screaming accessory – at least in a more conventional sense. But a pair of unique, delicately crafted sterling silver earrings has the potential to speak loud for a woman’s sense of subtle outer – and inner - beauty. But as the conventional saying goes, when it comes to sterling silver earrings, there is much more to its rich beauty than meets the eye. 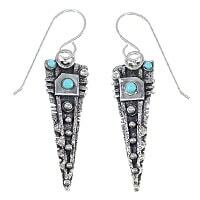 Much of the jewelry offered at SilverTribe, including our coveted selection of sterling silver earrings, is defined by a uniquely rich, supremely vast contextual and cultural history. 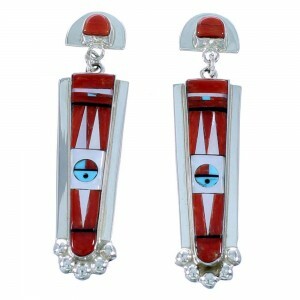 For hundreds of years, Native American tribes throughout the southwestern United States have used, honored and cherished a handful of precious – and stunning – gems in their crafts and jewelry. SilverTribe has been fortunate enough to maintain several longstanding relationships with some of the most honored and talented artists in the jewelry industry. A great deal of these artists not only seek to insert an elevated amount of beauty, shimmer and shineinto their products, but an elevated level of uniqueness, story and mysticism as well. A great number of gems are said to have spiritual, healing and meditative powers – including many of the stunning stones found at SilverTribe. Also, many of these stones are said to attune to the spiritual fields of its wearer, conforming to the unique spirit and energy that the individual expels. 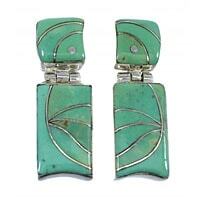 Turquoise, for example, tends to be one of the most notable attuning stones. 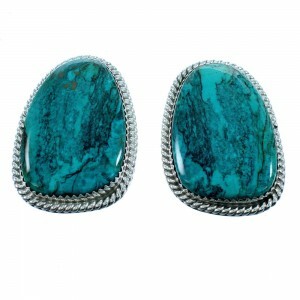 According to ancient myth, turquoise is said to have the “liveliest” energy of all the precious gems, highly playful and brimming with life. Not surprisingly, these traits equate to an increased sense of energy within its wearer, as well as improved health. Coral, on the other hand, is rich in emotional and healing. 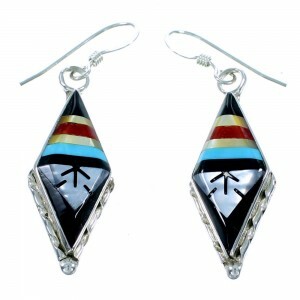 The wearer is said to receive an increased centering and increased health. And what’s more, thoughts of coral, or midnight dreams, are said to predict recovery of a long-term illness or plague. 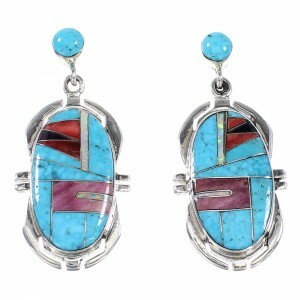 To explore each of the histories associated with our unique turquoise, coral and other colored stones, as well as be eligible for exclusive SilverTribe giveaways and sales, don’t hesitate to sign up to our VIP list. Although beauty tends to motivate us most to select certain jewelry pieces, wearing precious gems and metals can also be a sign of increased class and elegance in our culture – a statement many of us strive for. But all too often, consumers in our cash-strapped society must sacrifice the glamour of sporting numerous accessories, for the sake of saving. But while all the pieces at SilverTribe are meticulously crafted and defined by their lustrous shine and elegance, they are also affordable. We are firm believers that, in all cases, beauty and elegance should trump cost – especially in the case of sterling silver earrings. That’s why SilverTribe offers an exclusive e-mail club for anyone who wants to sign up. Members will become eligible for incredible giveaways, slashes on traditional prices, and promotional deals. Be sure to browse our vast array of other necklaces, bracelets, pendants, pins, watches and other sterling silver pieces throughout SilverTribe, and discover the unparalleled beauty and mysticism awaiting you.